Ships tomorrow if you order in the next 21 hours 1 minutes. Your respiratory health and function may be affected by a number of factors, including environmental toxins and pollutants. If you've been searching for a way to boost your health and enhance your respiratory function, Integrative Therapeutics offers a great option. 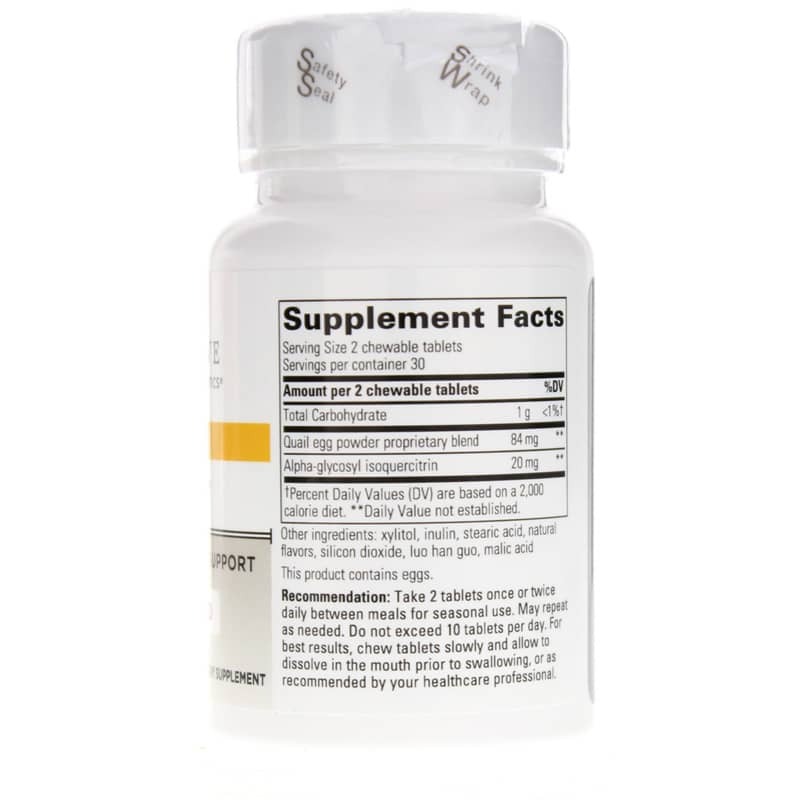 AllQlear Seasonal Support is a dietary supplement that delivers all-natural, fast-acting support for optimal respiratory health and function. 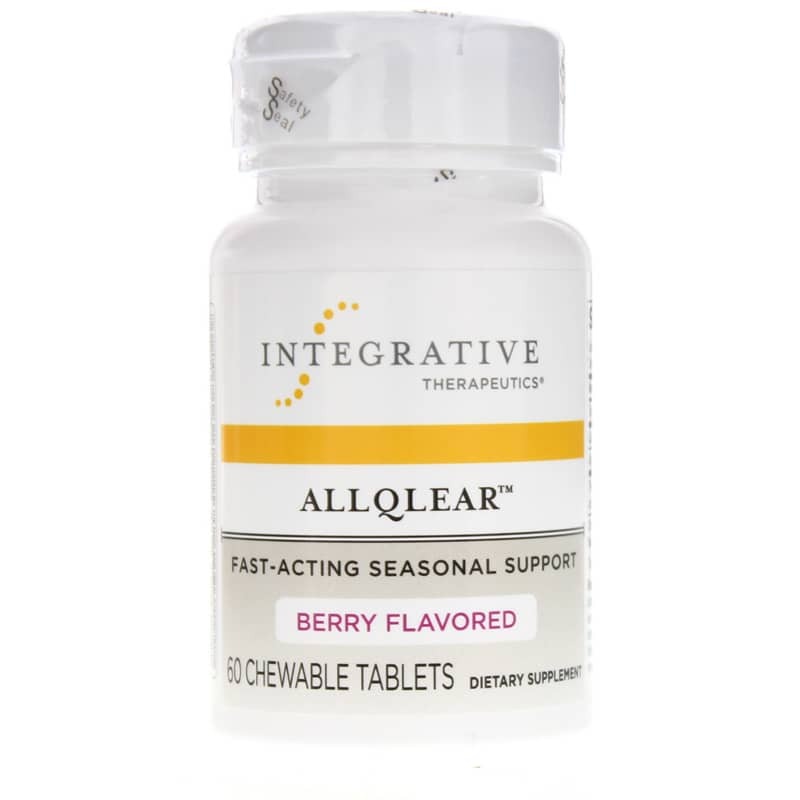 Every batch of AllQlear Seasonal Support from Integrative Therapeutics is made without any sugar, salt, wheat, gluten, yeast, dairy, or artificial flavoring, preservatives, or coloring. It does contain eggs. Just two easy-to-chew tablets once or twice every day may help you stay on the all-natural pathway toward optimal overall health and an increased sense of respiratory wellness. Give AllQlear Seasonal Support a try today, and see the difference it may be able to make for you. Order now! Other Ingredients: xylitol, inulin, stearic acid, natural flavors, silicon dioxide, luo han guo, malic acid. Contains NO: sugar, salt, yeast, wheat, gluten, soy, dairy products, artificial coloring, artificial flavoring, or preservatives. Adults: Take 2 tablets once or twice daily between meals for seasonal use. May repeat as needed. 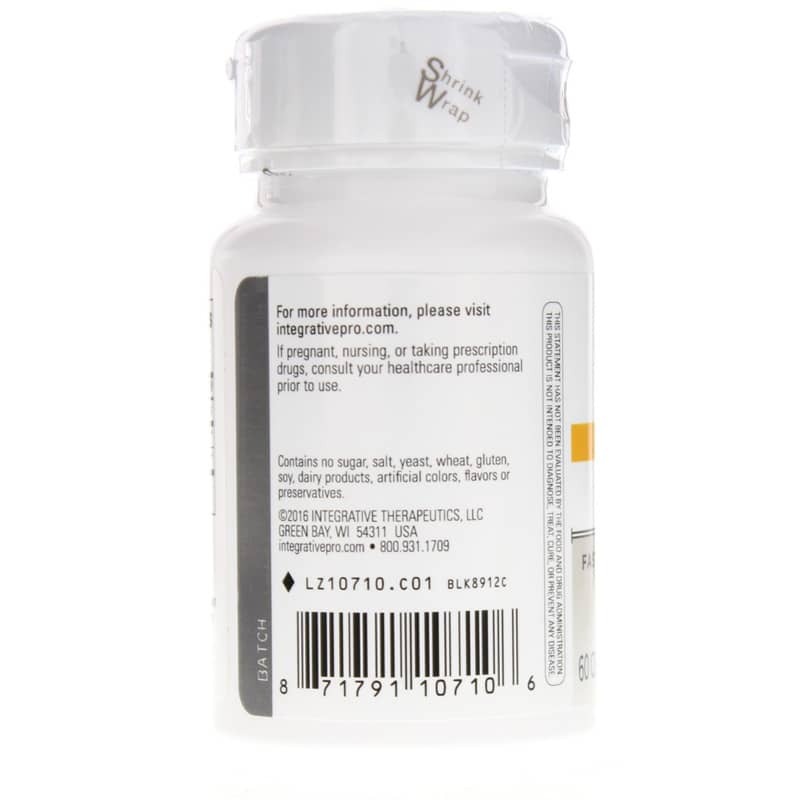 Do not exceed 10 tablets per day. For best results, chew tablets slowly and allow to dissolve in the mouth prior to swallowing, or as recommended by your healthcare professional. If you are pregnant, nursing, or taking prescription drugs, please consult your healthcare professional before using this product. Keep out of the reach of children.